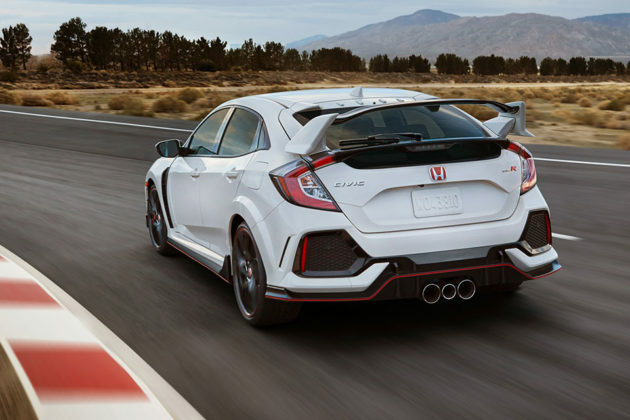 2017 Honda Civic Type R: Track-ready, U.S.A-ready, But Are You Ready? 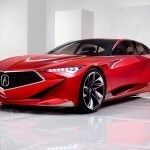 While I agree the new Honda Civic is sporty-looking by nature, I am not all for the looks. I don’t know. It looks to me like there are just way too many things going on the exterior that makes it looks so… messy, but my perception could change if it has a 2L i-VTEC DI Turbo motor with 306 horsepower and a hefty 295 lb-ft (400 Nm!) 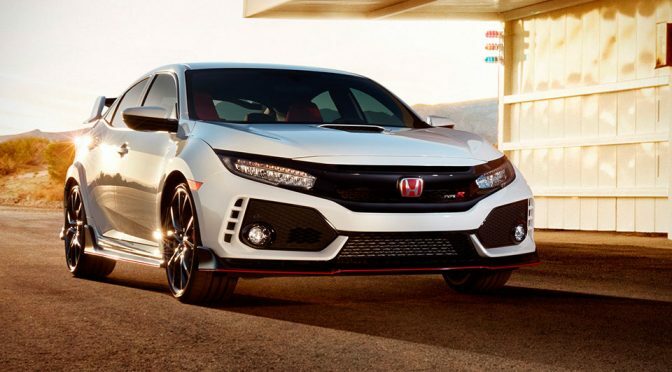 of torque like the new 2017 Honda Civic Type R has to offer, which, btw, is happens to be the most powerful, quickest, fastest and most agile Civic ever. Now, you see why the leeway I had for the look that I wasn’t that impressed with? And also, yes. 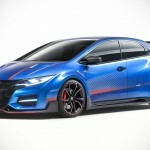 Official words are out at the on-going Geneva Motor Show that the first Type R-badged Honda will be available in the U.S. in “late spring.” Finally, you can ditch your parallel importers in order to get a taste of this “forbidden fruit” and get your hands on the real-deal, left-hand drive, proudly and officially. That said, I hope you have 30-40 grand ready to drop because it will come with “mid-$30k range” sticker. As with previous Type R, 2017 Honda Civic Type R is pretty much a track-ready – thanks to substantially upgraded body and chassis, and Nürburgring-tuned and tested performance components. 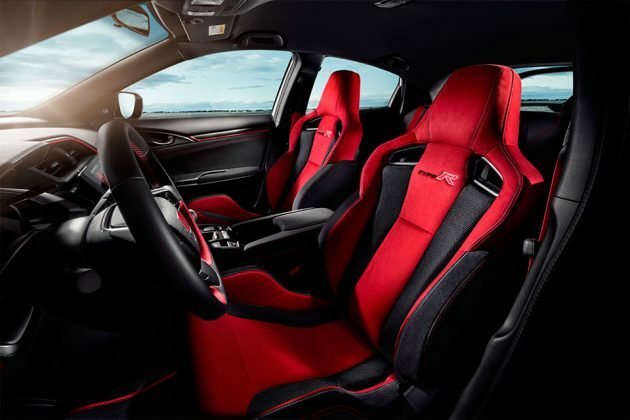 So, what can you expect of the first-ever Type R in the U.S.? 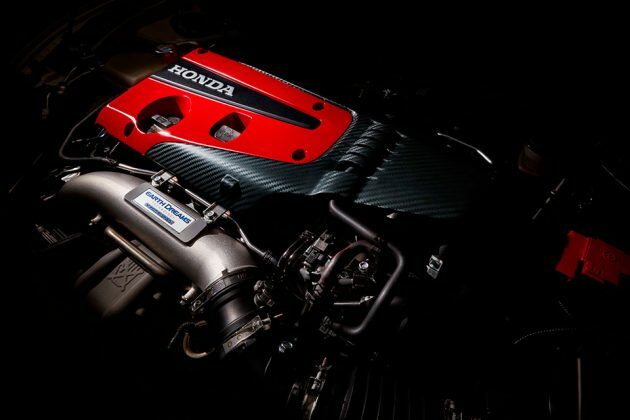 Well, for starter, you will be getting a U.S.-built 2L DOHC, direct-injected and turbocharged i-VTEC straight-4 engine with the aforementioned power and torque, and paired to a short-throw 6-speed manual gearbox (Honda, thank you!) with “rev matching capability” which employs automatic throttle blips for smoother shifts and power delivery, Honda said. 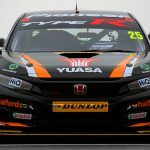 Acceleration also get a boost with a new single-mass flywheel that cuts clutch inertia by 25 percent over the previous EU Type R and a lower final gear ratio. Other highlights include four-wheel Adaptive Suspension System with three-chamber dampers, retuned and adaptive dual-pinion electric power steering system with variable gear ratio, helical limited slip front differential, 20-inch aluminum rolling stocks wrapped in 245/30 R20 Continental ContiSportContact 6 performance rubbers, Brembo 4-pot aluminum calipers with 350mm cross-drilled rotors (front) and solid 305 rotors (rear), increase torsional and bending rigidity, aluminum hood, and three driving modes (comfort, sport and +R) – just to name a few. And oh, it will, of course, get Type R distinctive aero and Type R quintessential white paint job and red Honda badging. Since it is arriving late Spring, you should be hitting up your local dealers already – that’s if you want a piece of Honda’s history in the U.S.